Tomas Hampl(2.15-C) will be moving to LEB Gold in order to get some playing time in a different team and Mamadou Samb(2.08-C) will be moving from LEB Gold and Granada to Bilbao according to Bilbao's official site. 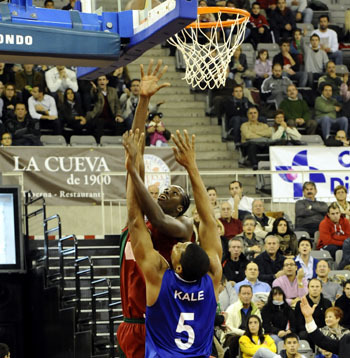 The Senegalese center gained the Spanish citizenship 3 years ago and has been a member of the Spanish Youth National Teams since then. In Granada he averaged 10.9 points and 4.7 rebounds in 14 games playing in the LEB Gold but now he'll be playing on a whole different level. If he gets any playing minutes that is. The contract signed will last until the end of the season with the option of renewal for one or more seasons. Hampl will be returning to Bilbao in the summer as he will be given away on-loan.